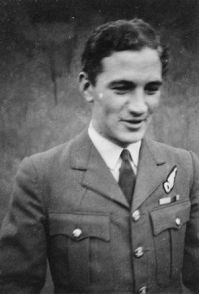 This site has been prepared as both a living tribute to the late Reg (Jeff) Jeffcock and also as a resource for those seeking information about some of the missions he took part in over Nazi occupied Europe during his wartime service in the Royal Air Force Bomber Command in 49 and 214 Squadrons. The site will contain images of various documents kept by him from the war, including bomb target maps, Allied propaganda leaflets, bomb loading charts for his missions and sketches made during his stays on various Lincolnshire airfields. Browse through this unique archive and, if the mood takes you, please leave a message in the book of remembrance. The site is also a memorial to those who died during that conflict, on all sides, and those who have suffered and still suffer from its after-effects.